There are several different ways to make everyday purchases. Credit cards, charge cards, ATM cards, and debit cards are all examples of these forms of payment. But each card is used differently. It is important to know how to use each card correctly. A credit card allows you to purchase items up to the limit of your card. You are required to repay the issuer of the card. Not only must you repay your debt, you must also pay interest on your purchases. 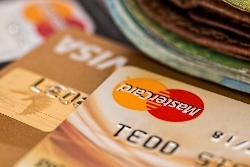 Charge cards are similar to credit cards, but they still share their differences. Charge cards have no limit to how much you can spend. However, unlike a credit card, you must pay off your balance completely when your bill arrives. If you cannot pay your bill in full, you will only receive a one month grace period before interest is added to your repayment. If your bill is not paid within three months, your account must be closed, and your bill will be sent to the collection department. Cash advances is a service provided by credit card companies. They allow the card holder to withdraw cash, up to a certain limit, from ATMs or over the counter at a bank. There is usually a transaction fee for cash advances. Interest is charged for a transaction fee as soon as the cash advance is made; even if you pay the bill back as soon as you receive your next paycheck. Interest rates are usually higher for cash advances than for regular credit cards. ATM cards allow people to make a deposit, withdraw money, transfer money, find out your balance, get a cash advance, and make loan payments. These transactions can be done at an ATM at any time of the day or night. When you use a debit card, the money used to purchase an item is taken directly from your checking account.